Lt. Governor Kim Reynolds and Governor Branstad. 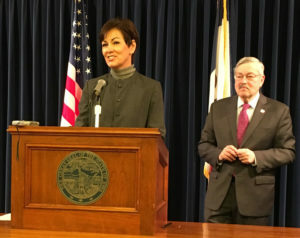 Lieutenant Governor Kim Reynolds suggests interested Iowans should “stay tuned” for information about the transfer of power in the governor’s office. Governor Branstad indicated late last week his U.S. Senate confirmation hearing to serve as U.S. Ambassador to China may happen the first week of April, meaning he may be resigning as soon as late April or perhaps early May if the full U.S. Senate quickly votes to confirm him for this new role. Once Branstad resigns and Reynolds takes the oath of office, she plans to name a new lieutenant governor. Reynolds, though, is keeping her list of candidates for that job secret at this time. 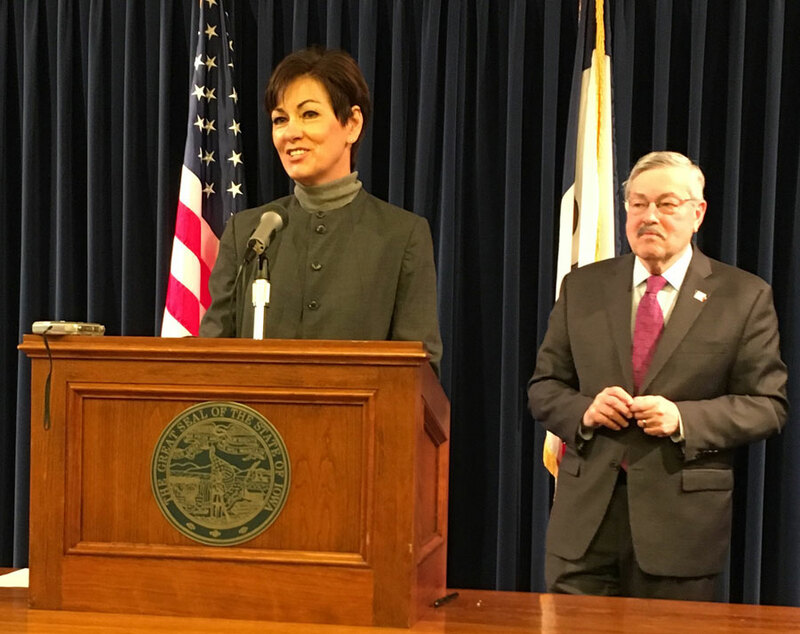 Branstad told reporters this morning he has not made suggestions to Reynolds as to people she might pick as her lieutenant governor. The timetable lawmakers and Branstad have laid out indicates the 2016 legislative session will conclude before Branstad resigns and leaves for China.